Erica and Thomas’ charming Spring Hill wedding embodied classic elegance with soft whimsical details, gorgeous floral centerpieces, and a magical sparkler sendoff. To plan for her big day, Erica researched wedding venues and looked for decor inspiration on Marry Me Tampa Bay. 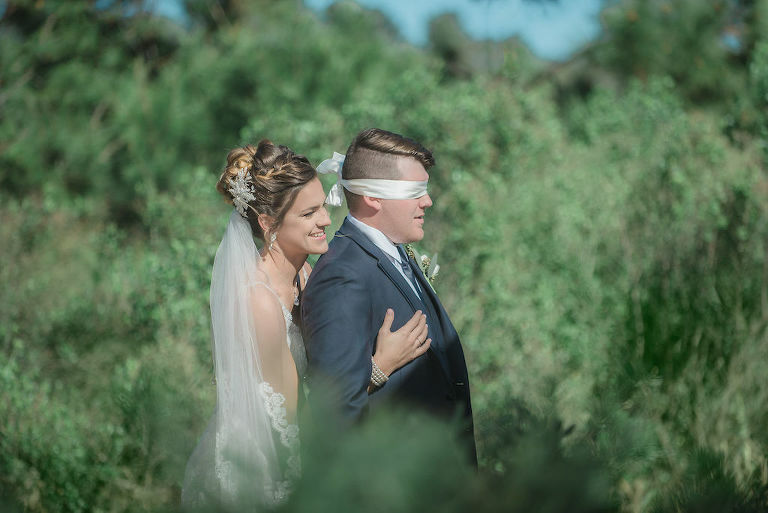 “Marry Me Tampa Bay was a great resource when it came to learning more about different venues in the area and gaining inspiration for my big day. I especially enjoyed seeing how other brides captured their own style and ideas through some of the wedding features,” the bride shared. 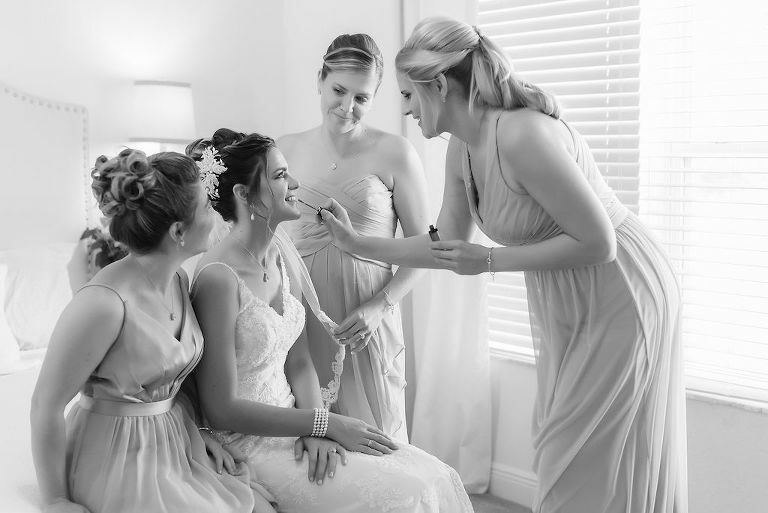 Envisioning the perfect dress for her wedding day, the bride turned to Tampa Bay bridal shop, Truly Forever Bridal, for something that was eye-catching yet modern. Finding a wedding DJ and lighting expert who catered to a variety of needs was a priority for Erica and Thomas. Looking back at their timeless celebration, the bride and groom cherished having their furry friend alongside them. “Having our dog brought to the venue to take some pictures with us was so memorable for us! She is our puppy child so even though she couldn’t be there during the wedding it was great to get a few minutes with her on our big day!” Erica reminisced. 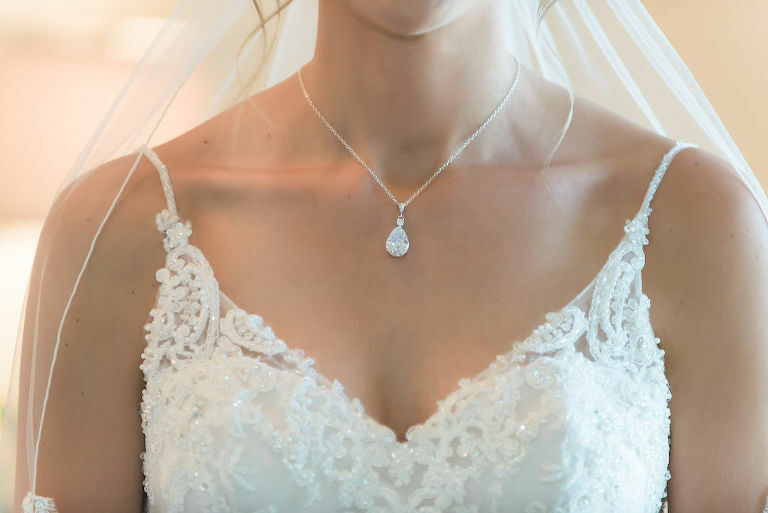 My wedding dress was inspired by the classic elegance of our venue with a perfect open back and a touch of bling. Truly Forever Bridal was perfect when it came to picking out my wedding dress. They did an excellent job of helping me find exactly what I was looking for. 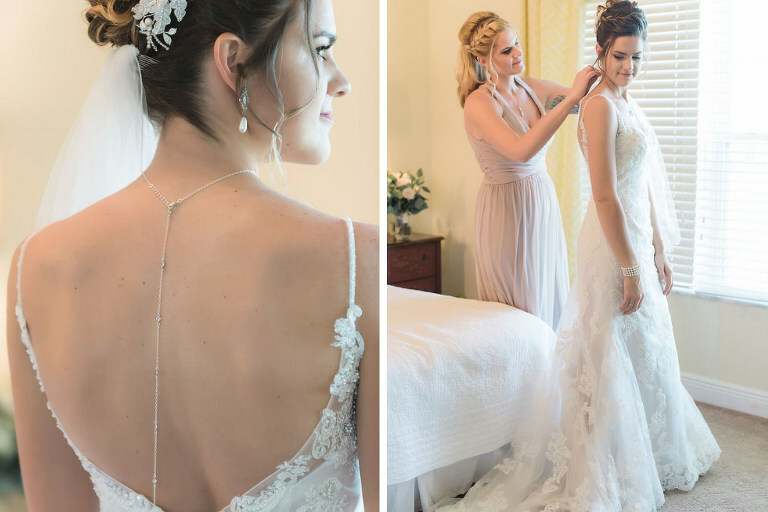 Without a doubt my gorgeous open back wedding dress truly made me feel special. Thomas proposed at the Sugar Sand Festival on Clearwater Beach! We went with my best friend and her significant other to look at the sculptures, but after walking through the main tent, we went to the back for more sculptures. We walked up to a photographer who brought us to a sand sculpture that said, “Erica Ann Yunka, will you marry me?” Thomas even had our family and close friends there to be a part of the perfect proposal! Classic and elegant. Our venue was truly the inspiration, with the beautiful rolling hills of the golf course and timeless room decor. Biscotti, petal pink, and navy blue. These colors perfectly complemented our timeless yet elegant theme. What did you look for in a wedding entertainment/lighting? We wanted someone who was able to do it all! Mike with Spark Weddings (formerly Nature Coast Entertainment) was professional, helpful, and absolutely amazing. Everything from the music to the uplighting to the photo booth and sparkler send-off was everything we expected and more! Mike played a great mix of music and the live instruments during our reception were beautiful. Ending the night with the sparkler sendoff was so fun and magical! Definitely a great time. There are so many beautiful venues in Florida to fit everyone’s needs and wants. With a little bit of time and research, finding your own perfect venue isn’t are hard as it seems!